The fastest web browser combined with the fastest scripting language packed with features for pen-testers. 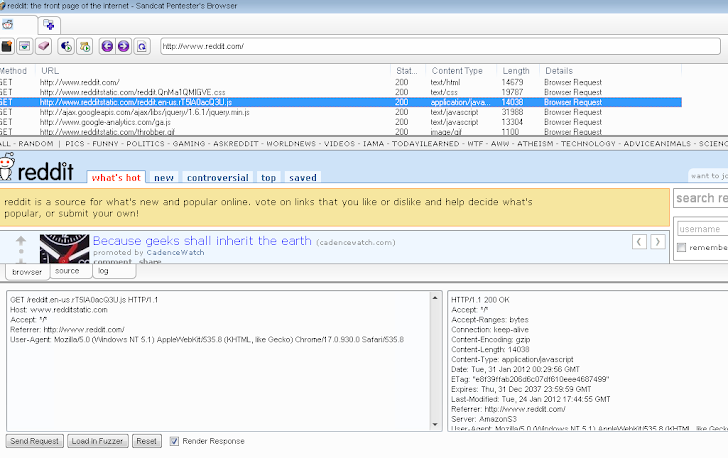 Sandcat Browser is a freeware portable pen-test oriented multi-tabbed web browser with extensions support developed by the Syhunt team, the same creators of the Sandcat web application security scanner. The Sandcat Browser is built on top of Chromium, the same engine that powers the Google Chrome browser, and uses the Lua language to provide extensions and scripting support. HTTP Brute Force, CGI Scanner scripts and more.